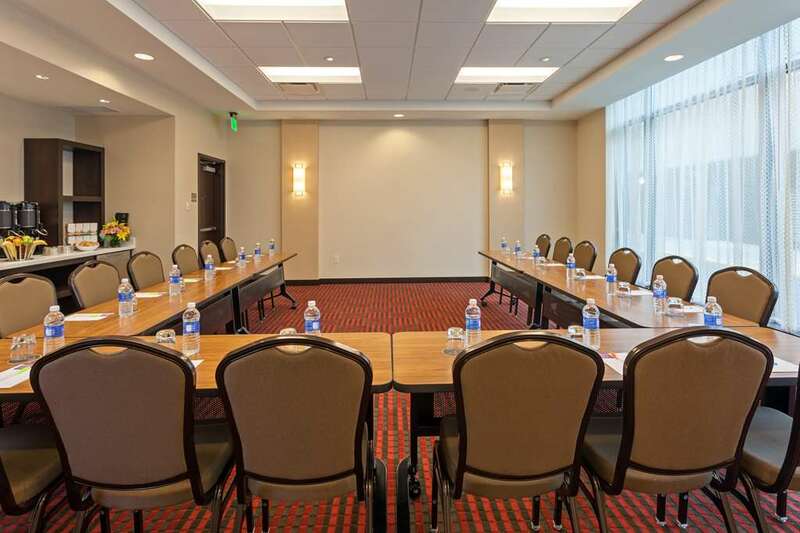 The 7 story, 172 room, all-suite hotel is located in downtown Bloomington right on the B-line Trail and within blocks of Indiana University, the Bloomington Convention Center, Assembly Hall, Memorial Stadium, and the city's vibrant dining and entertainment district. Pet Policy: 1-6 nights a $75 non-refundable fee. 7-30 nights a $75 non-refundable fee plus an additional $100 cleaning fee. Maximum of 2 dogs per room are permitted. Weight must be 50 LBS or less max of 75 LBS per room. Fees are in USD. 02MAY19-05MAY19 IU Graduation - Cxl 90 days before arrival. 50pct prepay due at booking and full prepay 90 days before arrival. Nonrefundable 90 days prior to arrival. No changes allowed to reservation after booking. 17AUG19-25AUG19 IU Move In Week - Cxl 14 days before arrival. Full prepay due 14 days prior to arrival. Nonrefundable 7 days prior to artrival, No changes or cancels allowed after booking. 2019 IU Football 06-07SEP19, 13-14SEP19, 20-21SEP19, 11-12OCT19, 1-2NOV19, and 22-23NOV19: Cancel 14 days prior to arrival. Nonrefundable full prepay due 14 days prior to arrival, no changes allowed to reservation after booking. 07MAY20-09MAY20 IU Graduation Nonrefundable full prepayment at booking, no changes or cancels. The 7 story, 172 room, all-suite hotel is located in downtown Bloomington right on the B-line Trail and within blocks of Indiana University, the Bloomington Convention Center, Assembly Hall, Memorial Statium, and the citys vibrant dining and entertainment district.